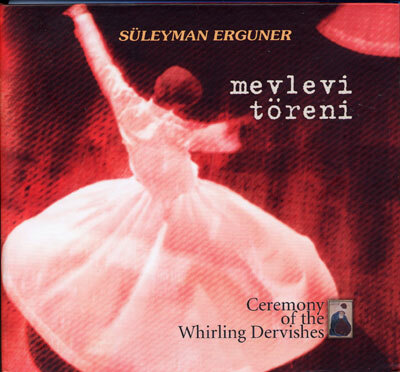 The Whirling Dervishes ceremony which is referred to as the "Sema", involves the dervish in assuming such a position that his right hand is opened to the heavens (as in a prayer) and his left hand is turned downwards towards the earth. Through this posture, the dervish seeks to state that he is: "Taking from the heavens and giving to the people, with nothing belonging to the individual; I am an instrument and nothing more"
This album features a complete "Sema" with vocals and instrumentals. Very authentic.